Feeling crafty this summer? 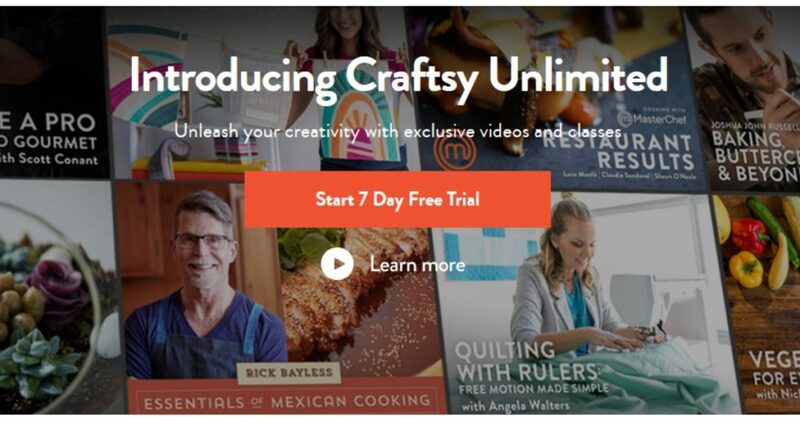 You can try Craftsy for free with a 7 Day Craftsy Unlimited Trial! There is no coupon code needed so you can go ahead and dive into thousands of hours of expert taught videos on painting, cooking, photography and so much more. Do note the monthly plan is $14.99 per month, or an annual plan at $120 a year, but you can cancel at anytime during or after your free trial.